Although I ordered the block according their difficulty think that Block number 10 happened too easy. I could not found the name of it. Some of the blocks in EQ7 has no name but number. Block Number 12 - Time&Tide. I found an interesting video at Youtube. 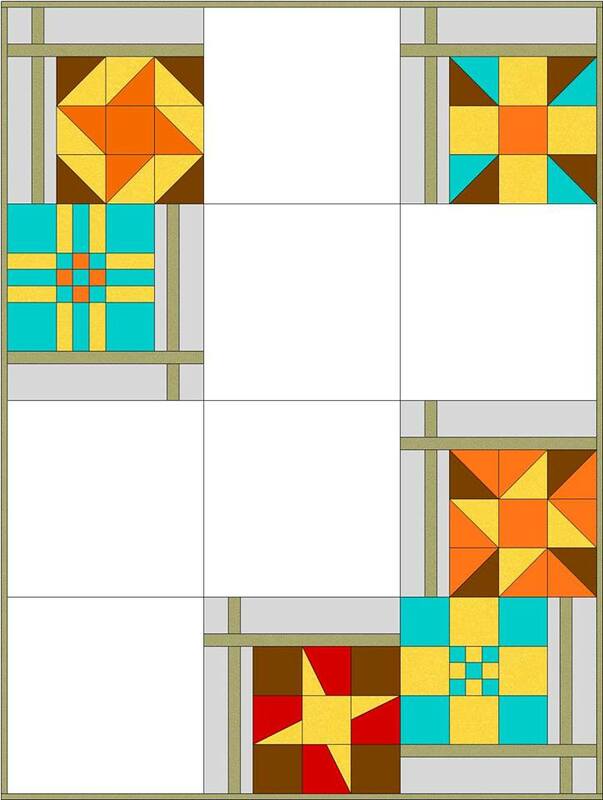 Here is the whole pattern quilt. My project turned out very nice. 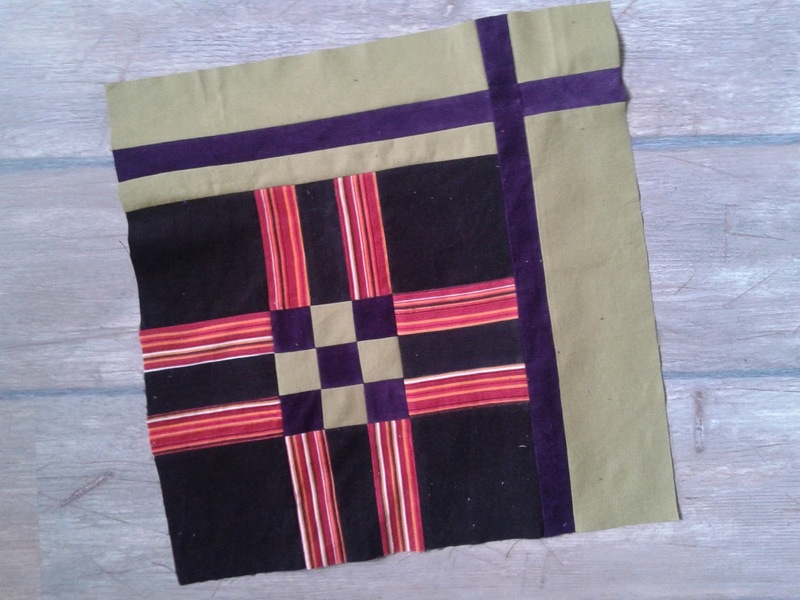 I like the touch of mustard as background in each block. 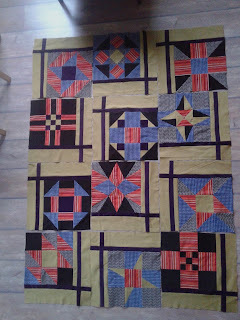 Next steps are the quilting and binding. The Block number 8 was easy to make - 6 HST triangles and 3 squares. 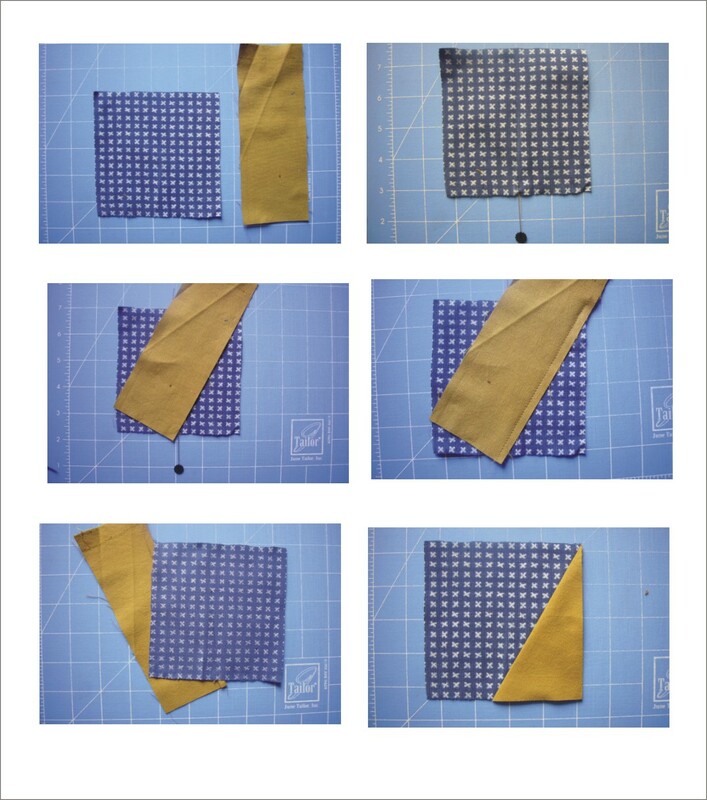 Even I decided to use paper piecing sewing corduroy was not easy, but the result is satisfying. 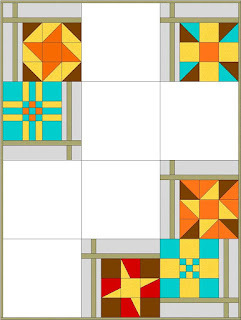 Now comes the block number 6 called Ribbon quilt. It was very easy to make. Half square triangles and a square in the centre. 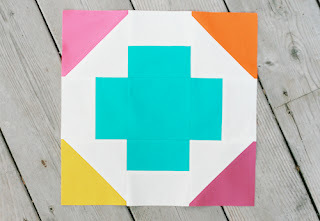 This is great if you want to have more Ribbon quilt blocks. Probably one day I will give it a try. The number 7 is very common Greek square. To be honest I am very sorry I have started this project as a Recycle project - I have collected some corduroy shirts. They are very colorful and nice to touch, but sewing them is a disaster for me. Some of them are very soft, some have 3% lycra. I am very punctual to cut and sew along the lines of the printed pattern. This block took me a tittle more time than sewing it with cotton fabrics. Anyway like the final look. The game 9patch is almost to the end and I realized I haven't wrote any post after the third block. This year I promise to be more organized. 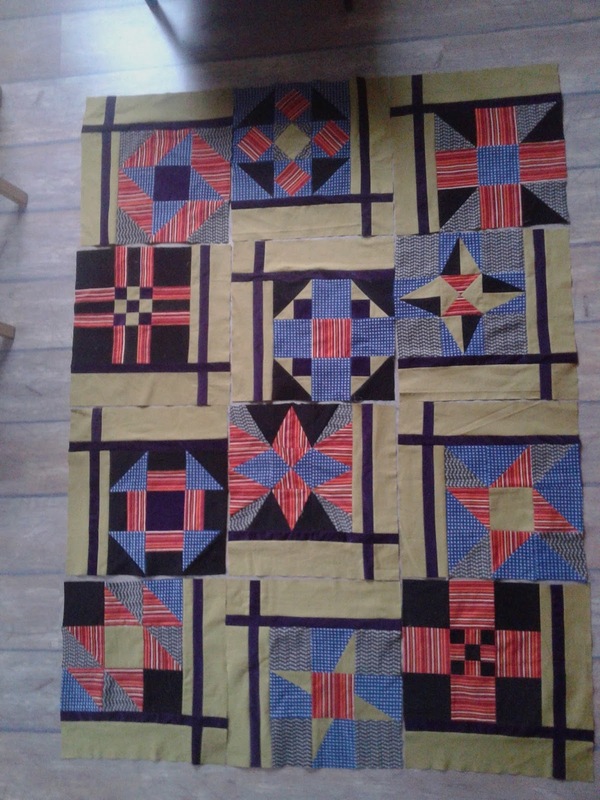 Here is the block N4 (centre 9patch} and its place in the whole quilt. The block Number 5 (Pinwheel variation) comes, too. 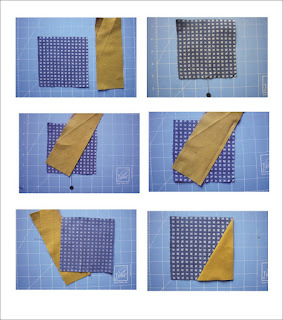 Here are some tips for sewing the star. Once you prepare the star beams simply add to the other pieces of the 9patch block. As you see I haven't looked. 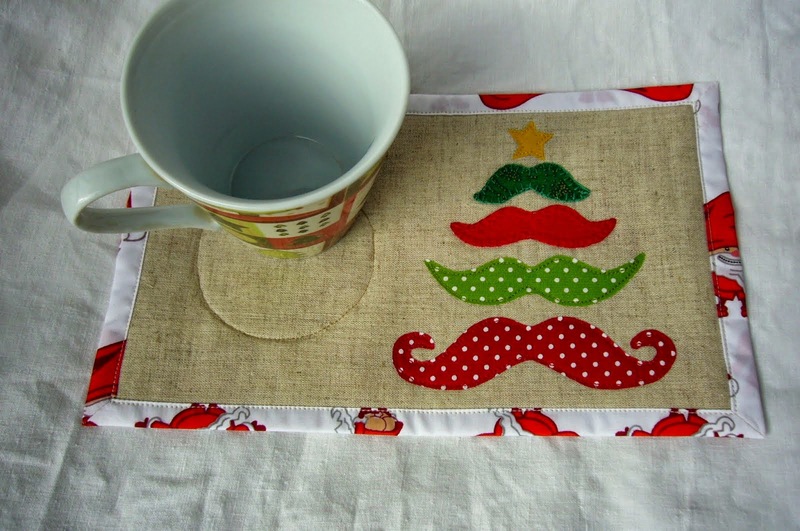 Anyway - I like the result, so didn't rip. Wait for the next blocks.